Every thing in iTunes is an AppleScript object: playlist, track, source, etcetera. Every object can be defined by its relationship to its container: a track is in a playlist which is in a source which is in the application iTunes. This relationship is called a hierarchy because it defines relationships based on rank. The top object--or root object, depending on your perspective--is the application—iTunes itself. It's a good idea when starting out to keep the iTunes scripting definition (sdef) handy. Click AppleScript Editor's Window > Library menu and click on "iTunes" in the list; even easier: drop iTunes' icon on AppleScript Editor's icon and the sdef will open up. The sdef displays a list of object classes and events that are 'scriptable in iTunes. The application object has several elements and properties. The elements are other objects contained by application. Each element may also be a container for still other objects and properties. The properties can contain values that affect the object. You can get or set the value of a property, usually with a number, string, or boolean true or false. Below are some of the more commonly used object, elements, and properties and example syntax. I've left out the stuff that seems pretty obvious. This application property will tell you what iTunes is doing and will return one of these values: stopped, playing, paused, fast forwarding, or rewinding. If iTunes is playing or paused, these objects exist. The selection object is an element of application as well as browser window and playlist window. It returns a list of references to the tracks selected. An excellent example of a problem without fixed indexing: if your script deletes tracks, the indexing of the tracks may change with each deletion. By setting fixed indexing, the indexing stays, well, fixed until the AppleScript is finished. Good to re-set fixed indexing afterwards, too. 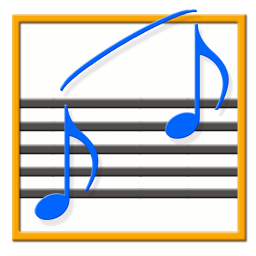 The browser window (main iTunes window) and playlist window objects inherit properties of the window object. The window object uses all the "usual" window properties (bounds, closeable, collapseable, position, etc). Additionally, browser window and playlist window share a selection property (discussed above) and a view property. The view of the browser window is a reference to the playlist selected in the Source pane. The view of the playlist window is the reference to the playlist in that window. Since the "front window" is almost always a playlist or browser window, it works out. Strictly scripting, however, I should probably use "view of front browser window". For the most part, most of the playlist classes share the same properties listed in the dictionary under playlist. Obviously, there are differences: an audio CD playlist can't contain an URL track (hmm, maybe that isn't obvious) and a library playlist doesn't contain a composer property like the audio CD playlist does. set total to duration of playlist "Mom's Favorites"
display dialog "Still need more songs!" Read more on playlists and tracks. The current encoder is an application property that returns a reference to the encoder you have currently selected in iTunes Importing Preferences. Once you have that, you can get its name and format. You can also set a new current encoder. The script Quick Convert uses a routine like this.